The cobalt blue glass in this hanging star lamp will add a colorful rustic feel to your southwest style interior or outdoor space. 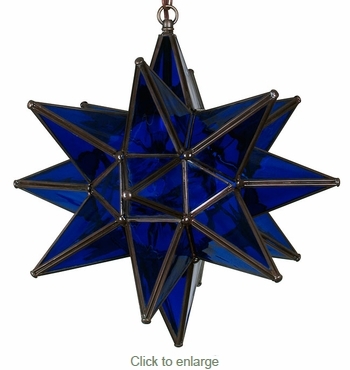 These authentic glass star lanterns are all handcrafted by Mexican artisans. When lit, this glass hanging star light will cast a soft blue glow in your home.